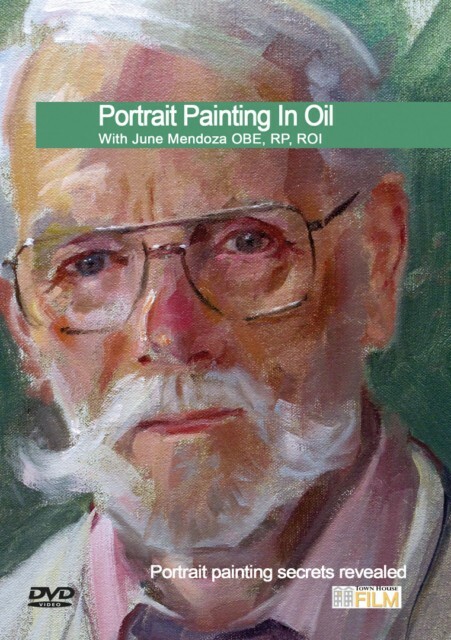 June Mendoza, OBE, RP, ROI is one of the most eminent portrait painters of her generation having painted subjects as diverse as Her Majesty The Queen to Sir Terry Wogan. In this DVD she reveals her secrets.In Portrait Painting in Oil she paints a single and a double portrait and displays the skills that have won her commissions to paint some of the most famous people from around the world - from HRH the Prince of Wales to Sammy Davis Jnr. She deals with materials, brush technique, posing the sitter and the key elements of composition. Composition one is a head and shoulders sketch taken to a fair degree of finish for a piece of its kind. Portrait two shows the first day's work on a much bigger piece with two sitters.